Please bring a lawn chair or blanket and a beverage for a special grown-up movie showing under the Crandon Lakes Pavilion. Make it a date night! 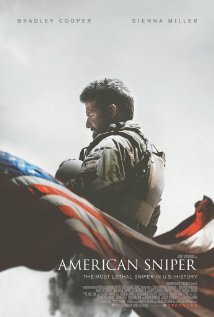 Tonight, we will be showing "American Sniper" (2015), run time 2 hours 13 minutes. For more detailed information on this movie, see below. THERE ARE FOUR MOVIE NIGHTS THIS SUMMER, CATERING TO DIFFERENT GROUPS. THIS PARTICULAR MOVIE IS RATED R. FOR A DETAILED PARENTAL GUIDE PLEASE SEE HERE.